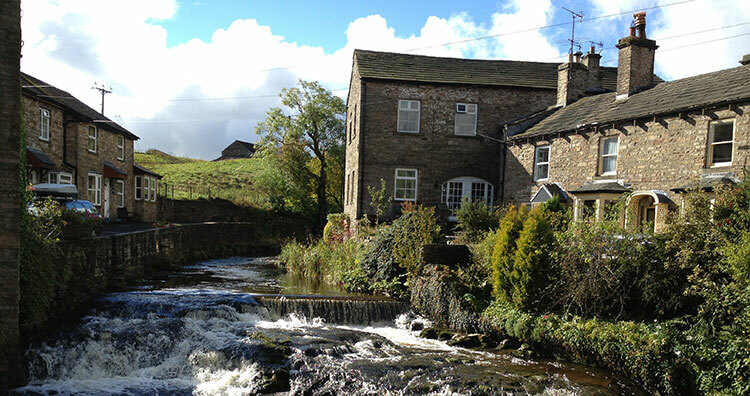 The Yorkshire Dales is home to outstanding scenery and a breathtakingly peaceful atmosphere. Even getting there is a treat in itself. We travel via Ribblesdale, which is home to the famous Yorkshire Three Peaks, which is absolutely stunning to pass through with amazing roads, landscape and animals a plenty. Our main stop – at lunchtime – is in Hawes. Most of our guests choose to have a wander on arrival to decide what and where to eat. This magical little market town is England’s highest, set 850 feet above sea water. Home to the world-famous Yorkshire Wensleydale Cheese – some say Hawes is the “home of cheese” - and set amidst breath-taking scenery, it’s no surprise Hawes is one of the honeypot tourist attractions of the Yorkshire Dales National Park. You can also discover the 18th Century waterpowered cotton spinning Gayle Mill. Converted to a sawmill and electricity generation with original working Victorian turbines, lineshafting and woodworking machinery. No need to tell you more. The drive and scenery going and returning are a delight, and Hawes is exquisitely Yorkshire Dales.